Well, it’s been ages since I last wrote anything, so my birthday seems to be an appropriate occasion to post something. I got vouchers (Amazon and the bank type) and a big stack of dark chocolate including my favourite Green and Black’s Maya Gold. I don’t eat milk chocolate because of the milk – lactose seems to bring on my sinusitis, so I avoid it. There was also a bar of Co-op orange and spices. Very similar to the Maya Gold but a bit more orangey – very yummy. Trying to avoid eating any before bedtime or I’ll not sleep. Haven’t decided what to spend my vouchers on but I may order a wide-angle tele-converter for my camera. Or I could just buy more chocolate. Decisions! Decisions! And I’ve got a delicious home-made birthday cake as well. The girls are back from Malawi and are spending time with grandparents. It seems to have been an amazing trip and there are some photos and tales on the website. 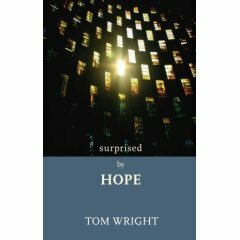 I’m also reading another NT Wright book – Paul, In fresh perspective. Definitely recommended. For a ‘traditionalist’ scholar, he really opens up some fresh ideas and challenges conventional wisdom. Maybe that says more than anything. There is still so much to learn even from ‘traditional’ teaching never mind having tread on emerging pathways. This one is about the major themes of covenant and creation which run through scripture. That in itself is not so radical, but it it the implications which Wright draws, particularly in how we read Paul, that are challenging. I’ll post on it when I’ve digested it some more but it’s an outlook or theology that really appeals to me and makes sense to me.